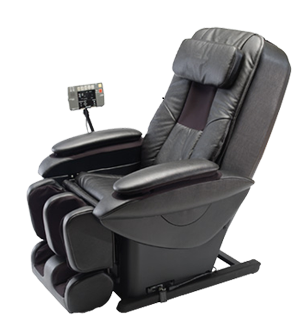 —the latest luxury massage chairs from the leaders in massage replication technology for over 35 years – Panasonic. The Panasonic Massage Chairs are designed to help you achieve therapeutic muscle relaxation and increased blood flow throughout your body to promote good health, with its pre-set programs, and customizable self-program modes. 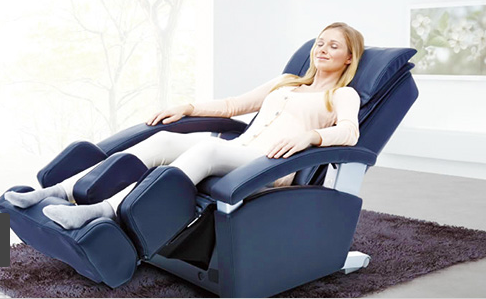 The Panasonic Massage Chair is truly like having your very own massage therapist at home. • Shiatsu – finger pressure massage using thumb pressure to press, hold and release for strong deep-tissue pressure and stretching using 2 massage heads. • Swedish – variety of massage techniques designed to relax and invigorate muscles. • Kneading – push & grasp for a deep maximum therapeutic effect, that stimulates acupoints and increases energy flow. Particularly useful for the neck and shoulders. • Grasping – thumb and finger closing kneading massage. Junetsu, the Japanese word for ‘ultra fine kneading’ is based on the one-second circulator thumb movements of professional massage therapists. Junetsu quickly loosens up tight muscles, and the spiral circular motion reverberates through muscles to invigorate down to your bones’ surface. Want more information on the Panasonic Massage Chairs?